In Loudoun County, Route 50 is called the John S. Mosby Highway. It&apos;s named for the Confederate ranger who operated in the area during the Civil War. The village of Aldie, just west of the Route 50 and 15 intersection of Gilbert&apos;s Corner (its the site of one of a series of four new round-abouts in the county), is a great place to stop to explore the historic Aldie Mill, or visit the mother and daughter team of Kay and Margaret at the Little Apple Pastry Shop. (This place will definitely be a future post.... so watch for it) They have some of the best sandwiches, pies and baked goods around. But don&apos;t take my word for it. Read the Yelp reviews. But one of the interesting little aspects to Aldie if something that sits along the side of the road, but is easily missed. 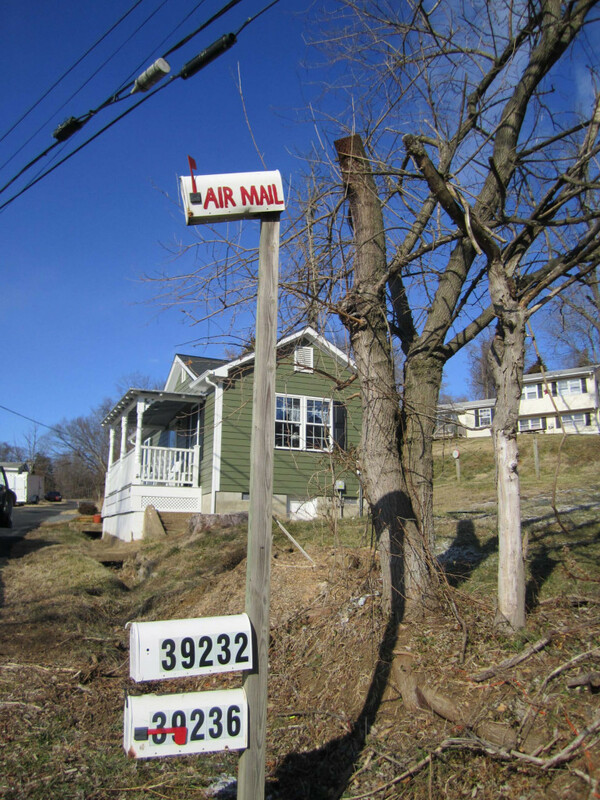 The "Air Mail" mailbox. Now, I don&apos;t know if any plane has ever delivered to this unique destination, but its ready to go if its needed. Keep an eye out next time you&apos;re in Aldie!